Image scanned from black and white negative labeled "Big Houston Pond Camps ECC June 1927." 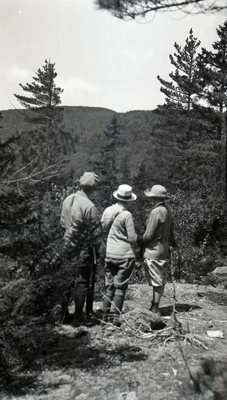 Two women and one man stand and admire a view of mountains and trees. All wear hats.